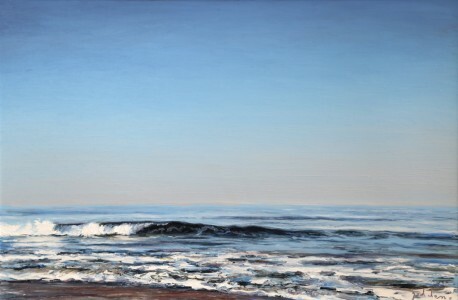 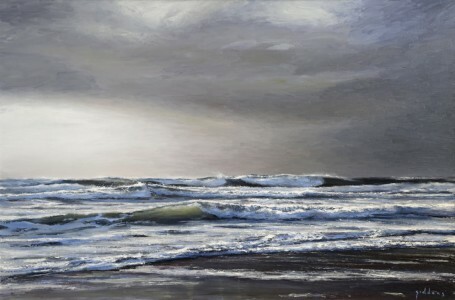 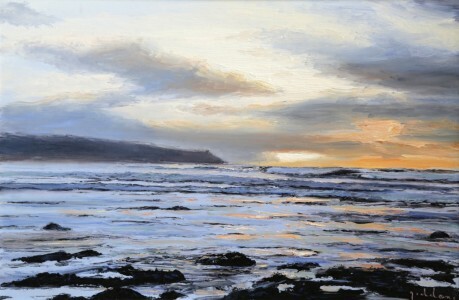 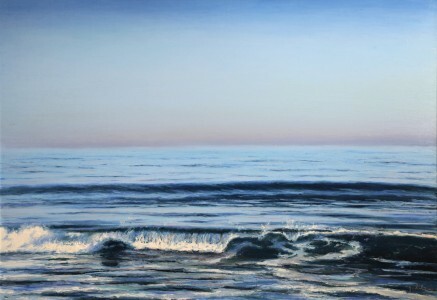 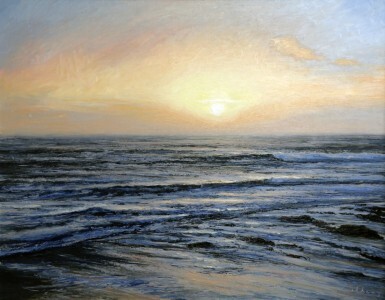 ‘Into the Deep’ was an exhibition of twenty oil paintings by Andrew Giddens. It was hung at Beside The Wave Gallery in Falmouth from September 19th 2014 for one week. 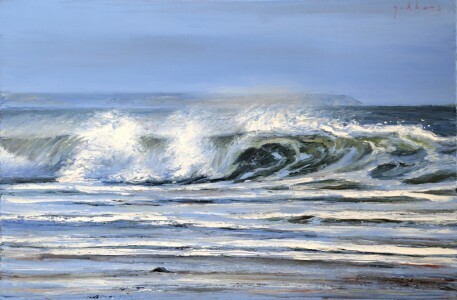 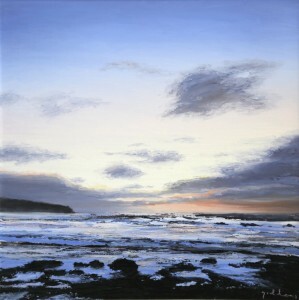 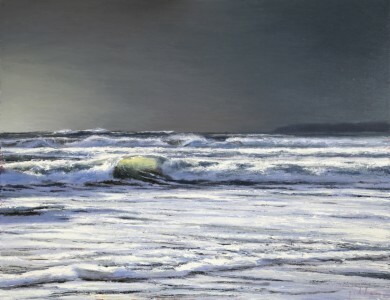 A beautiful new collection of paintings by Andrew Giddens, which capture the power of Cornwall’s coastline. 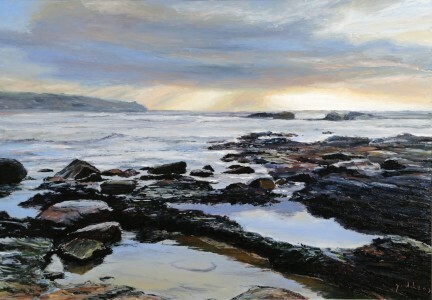 Crashing surf and dark brooding skies, peaceful calm seas with clear blue evening light, misty horizons and reflections in rock pools. 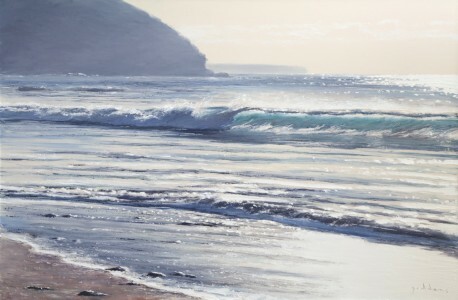 A dreamlike quality is achieved with Andrews’s masterful use of colour and painterly technique. 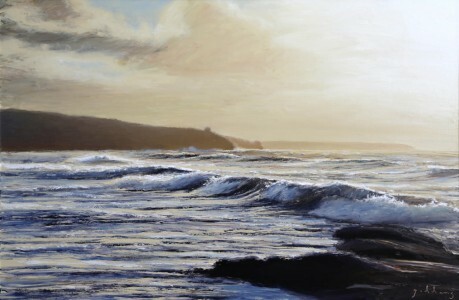 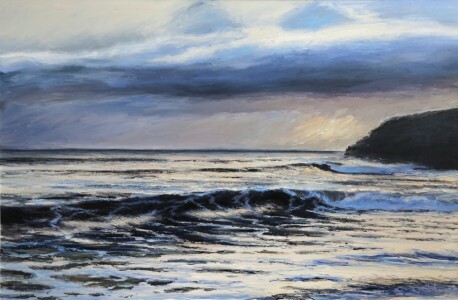 Not only does he show the many faces of Cornwall’s dramatic coastline but he has also caught the romance and mystery of the sea. 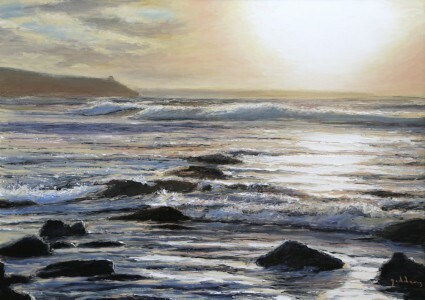 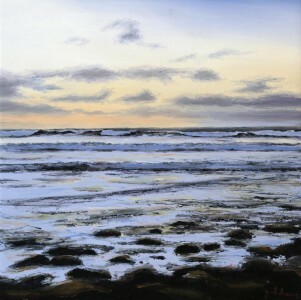 Cornish Perran Beach New Painting! 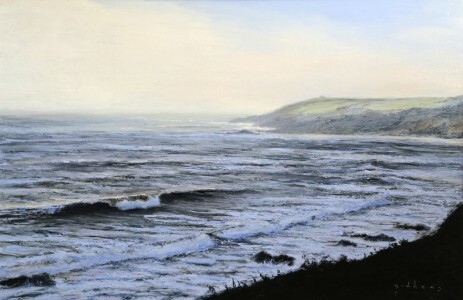 Cornish Artist Andrew Giddens – Biography.